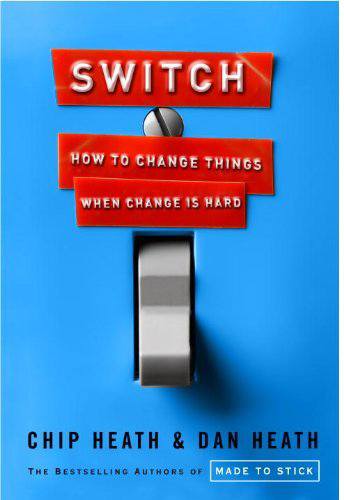 Eighteen months ago, I read Switch: How to Change Things When Change Is Hard by Chip and Dan Heath. This book changed my life. Switch explores the difference between the life changes we eagerly embrace and those we struggle with our entire lives. The book radically altered the way I plan, budget, eat, sleep, and work. Thanks to Switch, whenever I warnt to change any habit in my life, I now think of elephants. Chip and Dan outline an easy-to-follow system to create lasting, long-term habit changes. To make their point, they use the metaphor of a rider sitting atop an elephant on a path through a jungle. The rider represents our rational or logical mind. The large, powerful elephant represents our emotional mind. And the path through the jungle represents our environment and surroundings. The authors say that we most often approach habit change by leveraging only our logical mind, the “rider”. We outline the exact tips, tactics, and strategy we need to systematically execute our plan. We see early success with this method because, in the beginning, the rider has enough control and strength to force the elephant to go wherever we desire. But the longer the rider tries to overpower the elephant, the more quickly she tires and burns out. The Heaths argue that we need to motivate the elephant. By motivating our emotional mind to change course, we don't have to steer with as much force. This greatly increases the chances we can maintain momentum and achieve lasting results. 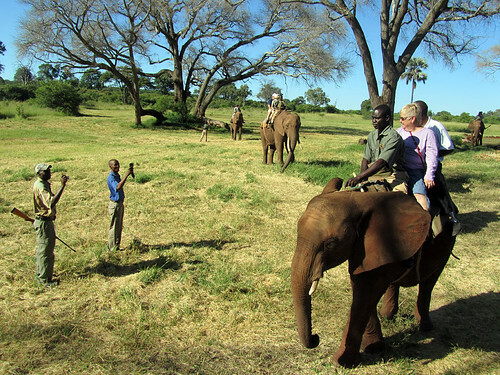 They also recommend shaping the path through the jungle to make the journey easier on both the rider and the elephant. This includes surrounding ourselves with positive, passionate people and removing any potential negative situations that weigh us down. This simple metaphor has changed my life. As a result, I'm constantly exploring new ways to change my environment and motivate my emotional mind. When it comes to personal finance, my wife Courtney and I apply this methodology to several areas. Let's explore them. When Courtney and I first started our financial turnaround, we started the basics of tracking our spending, starting a budget, and creating a list of every debt we owe. We laid everything out to the penny. We knew exactly how much interest we were adding to our debt each month. At one point, we could even tell you how much our average toilet paper spending changed on a month-to-month basis. As you might guess, this level of accounting didn't last for long. Neither of us is a CPA, and we didn't have the willpower to continually force this type of accuracy. Even worse, one small error could lead to hours of effort as we tried to reconcile the missing pennies. We decided to give rounding a try. We rounded all expenses and debts to nice whole numbers. We rounded down all income. It was a simple change, but it had a profound effect on our process. Suddenly tracking became fun. It was no longer a chore, but something we actually enjoyed! We could get a snapshot of how we were doing with quick mental math (as opposed to our complex spreadsheets). The rounding had another positive side effect. By rounding our expenses up and income down, we built up a small buffer that grew throughout the month. For example, if we budgeted $80 for our $76.50 electric bill each month, we'd have a little left over. Same result if we tracked our spending as $10 when lunch was only $7.98. The extra dollars and cents accumulated more quickly than you might think! At the end of each month, we were left with a couple hundred dollars as a buffer. Before we started rounding, if we budgeted incorrectly or had an extra expense pop up, we'd feel guilty. But this buffer allowed us to absorb a mistake or two and still be on target for our budget. Most months we'd just leave any extra we had in our checking account and let it compound a little each month. We celebrated yet another small victory! An overview of our financial turnaround. To learn more, check out You vs. Debt. At some point in time, every person who digs his way out of debt has to decide what order he's going to eliminate the debts in his life. Highest interest first. The logical or mathematical option is to pay off whichever debt has the highest interest rate. This ignores any emotional or psychological aspects, but results in the fastest theoretical path. The debt snowball. Popularized by Dave Ramsey, this method suggests paying off your debts from smallest to largest. The idea is to find early success, celebrate the small wins, and build momentum. The debt tsunami. This is the name Courtney and I created to label the own path we took. We prioritized our debts by how intense our emotions were about each debt. Courtney and I started our financial turnaround with the debt snowball, but quickly realized that we cared much more deeply about some of our debts when compared to others. For example, our debts to family members weighed heavily on us even though they carried no interest and no formal monthly payments. We also felt much more empowered when we paid off gambling debts or credit cards that represented our most ridiculous spending choices. Making progress on these increased our pride and fueled our passion to the point where we felt unstoppable! So we created a way to gauge our emotions on each debt and every few months would revisit our list. Each time we focused out energy on those debts we hated the most. Some of these are valid downsides that come from living a life without credit cards. However, not all are true. For example, our credit score has gone up over the last three years. And I've rented several cars and booked multiple flights in several countries and currencies. When it came to the valid downsides, Courtney and I weighed them against the benefits of eliminating credit cards altogether. For us, we were so passionate and focused on turning around our habits that we couldn't imagine keeping credit cards in our lives. It didn't feel right. We were emboldened every time we eliminated another one. This seems like a subtle shift, but it had a profound impact on our financial life. Overall, the pride and passion we felt for opting out of the credit card industry far overshadowed 1% cash back and a few airline miles. We also decided to focus on eliminating our debt before investing for college or retirement. This decision is a complex one for many people, but we wanted to keep our financial goals simple and focused. By focusing our time, energy, and passion on eliminating debt, we were able to do so much faster than if we had tried to juggle multiple goals and priorities. We also believe that a debt-free lifestyle (and a debt-free business) will provide a flexible foundation for us to build a secure future. Many people will point out if you have a low-interest debt (let's say 2-4%) on a student loan or mortgage, you may be able to realistically achieve much better returns than that by investing for the future. We understand how the math works, but for us it's far more important to have the flexibility, momentum, and freedom that comes with a debt-free lifestyle. We're looking forward to having the mathematics of compound interest work for us in the future, but for now we're leveraging the motivation of our emotional minds to maximize focus and passion as we finish off our debt. To create long-term, lasting habit change, Chip and Dan Heath taught me that we need both sides of our mind — logical and emotional — to work together. In the personal finance world, it's easy to focus on the next tip or tactic that you think will move you closer to your goals. But don't forget the power that comes with motivating your emotional mind to come along for the ride. The next time you go to change a habit, don't forget about the elephant. For discussion: In what areas of your finances do you choose emotion over logic? What tricks have you found to make your “rider” and “elephant” travel the same path? There I was, bustling around the kitchen making lunch for my daughter when our late morning routine was interrupted: Boom! Boom! Boom! I started to tell her she must have the wrong house before I caught myself. “Whoa, that was fast”, I thought. Only 48 hours earlier, I'd been sitting in front of my computer cautiously ordering over 300 boxes of various sizes from United States Postal Office. For a while now, I've be aware the postal service provides free boxes when you ship through its Priority or Express Mail. Back when Courtney and I were purging all of our possessions in preparation for the year we spent traveling abroad, we had even stopped by our local post office to pick up several dozen of them. The USPS Online Store. If you're willing to take 30 seconds to register an account on usps.com, you can order directly from the post service. This gives you access to dozens of different box and envelope sizes. The website quotes you 7-10 business days, but my huge order only took 48 hours! USPS-eBay Partner Website. Alternatively, you can order free boxes with only your eBay account (no separate account needed with USPS). These boxes are also only for Priority Mail, but are branded with both the USPS logo and eBay's logo. Unfortunately, you can only order 6 different sizes with your eBay account, but there is a decent variety offered. When you order online, you can select between a pack of 10 boxes or a pack of 25 for each different box size. You can also order between 10 and 100 envelopes in a single batch. I personally ordered an assortment of 25-packs from each site and received them all within two business days! Now I've just got to get through all these boxes! While the boxes are really 100% free, you can only use the free Priority Mail boxes for… Priority Mail. USPS is very strict on this rule. You won't be able to use the boxes to ship Media Mail, First-Class, or Parcel Post. However, if in a fit of frugality you decide to use the boxes to wrap Christmas presents, you should be okay as long as no family members are undercover USPS agents! Whenever Courtney and I ship packages, whether it be through eBay or for family/friends, we almost always send them Priority Mail. So for us, we'll eventually weed through our new shipment of free boxes! Avoid the Post Office Altogether! If you're shipping a package via Priority Mail, the ability to order free boxes online means you can avoid the post office altogether! You could order the boxes, pack the item at home, print postage online, and even schedule a pickup for your outgoing shipment. That's right: USPS will come pick up deliveries that contain at least one package that is Priority or Express Mail. I have to admit that being at the post office isn't one of my favorite pastimes. Courtney and I will continue to sell our unneeded stuff on eBay (we also sell stuff for our extended family); the process will just no longer include any trips to the post office. Being able to go through the entire shipping process from our home office is much simpler for us! Oh — and if you know anyone in the Indianapolis area who could use some free boxes, let me know. I have a couple extra laying around! J.D. 's note: My family has owned a box factory for 25 years, but I never thought I'd host a box-related article at Get Rich Slowly. It'd be a shame if I didn't mention that if you need boxes in Portland, Oregon, my cousin and brother can steer you in the right direction. This video post is the third of a four-part series. Last week, I introduced the concept of a Budget Buster, which is any irregular expense that I fail to plan for. These are't true emergencies, but rather expenses that pop up to surprise me, even though I should have easily seen them coming. This week, I'm concentrating on the largest budgeting category for these surprise expenses: home ownership. When looking for housing Budget Busters, those of us making the transition from renting to home ownership need to be especially wary; lack of experience leaves us exposed to a barrage of these expenses in the first few years. Most of us are familiar with paying a mortgage (including interest), property taxes, and homeowner's insurance. In fact, many times these are lumped into a single monthly payment by your mortgage or processing company. But in addition to these routine costs comes a host of irregular — but nonetheless inevitable — expenses. In this video, I concentrate on three main areas where Budget Busters strike hardest: routine maintenance, repairs/improvements, and transactions costs. The enormous costs associated with the repairs and improvements — remodeling a kitchen, replacing a furnace, tearing out a tree — are apparent. However, the combined costs of routine maintenance — yardwork, cleaning carpets, painting a room — can add up quickly too. As we talked about in part one, the key to planning for these Budget Busters is embracing the fact that irregular expenses will almost always be more than we expect. It's been my experience that just when I think I have it figured out, something new comes along to bust me! I've learned the best strategy is to overestimate my costs to ensure a cushion. I know there many of you have owned homes for decades! Which expenses have shocked you most over the years? Which ones should those of us who are new to home ownership watch out for? Note: We've heard you on the video posts. There's one more scheduled for next week, but after that they'll only be an occasional thing. Thanks for the feedback! Courtney and I apply a fun name to any expense in our lives that we should've planned for in our budget, but didn't. We call them Budget Busters. Even with persistent effort, we find it impossible to account for every irregular expense. As I note in this week's video, we make an important distinction between a true emergency (random events we cannot foresee) and irregular expenses that we should have known were coming. We have two primary categories where Budget Busters tend to run rampant: transportation and home ownership. I've broken these two categories into two separate posts and this week, in part one, I'll be focusing on transportation. Almost everyone is used to planning for gas, oil, and auto insurance, as these are routine costs associated with operating any vehicle. However, it's much rarer to account for all the miscellaneous expenses that can come up, such as accidents, tires, repairs, tickets, parking, registration, plates, fares, tolls, and so on. In this video, I discuss the concept of Budget Busters and provide examples of many of the expenses that have popped up to ignite havoc in our own budget. Many of these irregular expenses are small enough that we can ignore planning for them. After all, most of us can squeeze a parking pass, a toll road, or a car wash into our budgets without noticing. The real issue comes when we miss work because our car breaks down a few days after we receive a speeding ticket on our way to pay for our new plates. When Budget Busters team up to attack at once, things can get rough. The key is to do our best to brainstorm these irregular expenses and add padding to our emergency funds, our savings accounts, and our budgets to help cushion the inevitable blow. We've alleviated a lot of worry by adding 20% to your transportation budget! What transportation expenses have popped up recently to surprise you? Passive barriers are those small mental impediments that keep us from making smart choices. Things like over-drafting your bank account because you're too lazy to stop by the bank to make a deposit, or not going for a run because it's a pain to get your exercise clothes together. But while passive barriers can prevent us from meeting our financial goals, they can also be used as a force for good. In the video below, I discuss three passive barriers (some might call these money hacks) that my wife Courtney and I use to help fend off consumerism. In the past, we've had these sorts of barriers work against us in our finances. It feels good to turn the tables. The trick for us is to make these consistent. Whenever we face a buying decision, we want it to pass through these barriers. If it makes it through, then great! There's nothing wrong with purchasing something valuable or that we'll really enjoy. Using these barriers helps to ensure that our spending is as intentional as possible. They counteract (and even replace) our old barriers and justifications. Of course, these are just three examples of dozens that could be effective. I'm sure that many of you use similar methods. What barriers or filters have you experimented with in your life? Let me know in the comments below! Welcome Lifehacker readers – thanks for dropping by. If you've enjoyed what you have read, please follow Get Rich Slowly on Facebook, Twitter, or our RSS feed. As some of you know, Courtney and I recently spent just under a year traveling abroad with our two-year-old daughter. A couple of months ago, we returned home to Indiana and decided that we'd take a six month break from our mobile lifestyle. Our decision meant we needed to start looking for short-term rentals that would meet our temporary needs. 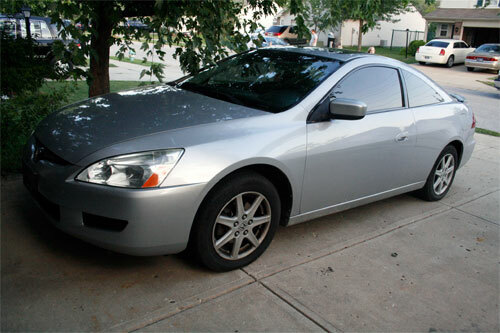 When we started to browse rental options, we created a list divided into Wants and Needs. Some of the Needs included things like two bedrooms, a safe neighborhood, flexible lease terms, and some sort of yard or grass. Note: Technically, these aren't raw Needs. While traveling we spent weeks in a tent, months in a spare bedroom of another family's house, and dozens of nights in 100-square-foot single rooms. But these few items were basic enough conveniences that we felt comfortable labeling them Needs for our situation. Under Wants we placed criteria like a standalone house, a fenced-in back yard, a one-car garage, and proximity to decent sidewalks or paths. Remember, we weren't buying a permanent home: We were searching for a quick six-month stop. This wasn't the first time I'd voiced this desire. Courtney had to put up with my complaining for the last year about not having designated work space. It was primarily an excuse for procrastination or lack of motivation, but there was a part of me that wanted to see what it would be like to have a specific space for my work. After mentioning it a couple of more times, we agreed to expand our search to two bedrooms with bonus rooms, offices, or even large closets (yes, I'm serious). In general, a two bedroom home with a bonus room or office will be cheaper rent than a comparable three-bedroom place. Even with a background in real estate, it can be hard to search for houses with extra rooms. Each owner, agent, or listing may refer to the space in a different way. Often these homes have unique floor plans, and it's nearly impossible to understand them unless you visit each home individually. Finding matches was difficult. Out of frustration at the lack of two-bedroom options that also included a bonus room, I allowed myself to do something that changed everything: I expanded our search to three-bedroom rentals. Suddenly, the flood gates were opened. It had happened. Of the five listings I sent to him to schedule showings, not a single one of them had only two bedrooms. Somehow over the course of just a few weeks, I'd managed to shift our Needs from two bedrooms to three bedrooms. My attitude had changed. In our market, we could have easily found a two-bedroom rental in the $600/month range. Our current rent (on the three-bedroom rental we selected) is $900/month. For those of you counting, that's a 50% increase — or around $300/month. For me, the issue isn't the extra money per month. It's a matter of perspective. We aren't going to be financially ruined by this choice, and we're paying for other benefits in that increase. But, I want to be sure that I view our rental for what it is: a Want. Heck, we could even label it a luxury for us. If I continue to view this as a Need, it's easy to focus on the negatives. For example, the air conditioner takes hours to cool anything, the lighting is terrible in the home, and the garage doesn't have an automatic opener. If I were to take the situation for granted and focus on the negatives, it would be easy for my standard of living to creep even higher and higher. In retrospect, if I see this home for what it really is — an indulgence — those little things lose their importance. I appreciate my little workspace so much more. I appreciate the fact the my daughter Milligan can play out back, and that we have space to host guests. The truth is, for our family of three, anything more than a safe, one-bedroom home with a roof, heat, and simple kitchen is a luxury. It's a Want, not a Need. By realizing that, we can stop taking things for granted, and start being thankful for what we have. But shelter is just one area of our budget where this shift in thinking can happen. Luckily, this experience has helped me become more aware in other areas, such as Food, Clothing, and Transportation, where my definition of Need can easily grow beyond what is truly needed. Indulgences in life are great. I've met very few people who want to live at the bare minimum level of their Needs. But taking steps to ensure we recognize our indulgences as indulgences allows us to appreciate how lucky we truly are! I struggle with weight. In fact, it's a far more difficult issue for me than personal finance. Honestly, I'm not completely sure why, but it's true. Correcting both issues starts with awareness. The key to turning around my financial life was realizing exactly how bad it was. After that, I was able to connect deeply with the burden that my lazy financial habits created in my life. While I understand that I'm unhealthy, I haven't fully connected with the burden it brings into my life. Both issues have simple solutions. Notice I said simple, not easy. Personal finance can really be boiled down to “spend less than you earn“. There are plenty of details, techniques, and strategies, but it all comes back around to that one basic concept. Creating a healthier lifestyle is also simple: Eat fewer unhealthy foods, exercise more. Remembering these simple foundations can help us from distracting ourselves in a search for a mythical secret solution. Both issues require more motivation than “it's good for you”. The vast majority of people who struggle with money realize that consumer debt is bad for them. Most people who carry credit card balances know “they shouldn't”. But this doesn't keep them from doing it or help them from being susceptible to credit card tricks which can increase their fees. I know my diet is poor and I'm not as active as I should be. Just because eating better and exercising is “good for me”, doesn't mean I'm going to do it. Sadly, most of us need more motivation (and more specific motivation) to overcome either issue. Even though intellectually I can identify these similarities, I haven't been able to bridge the strides in my financial life to my health. I need more awareness and a more specific type of motivation. I recently stumbled upon an interesting concept that may help me with the latter. HealthyWage.com pays you to lose weight! Early last week, I was approached by a group of personal finance bloggers who were entering a team-based weight loss contest at HealthyWage.com. Unlike many of the free sites and competitions, this one was different. Teams of five had to cough up $100 total ($20 per member) to sign-up. As a result, there are some big prizes, including $10,000 to the winning team! The winning team is defined as the team of five that has the highest average percentage weight loss. In order to compete, you have to have an official weigh-in at the beginning and end of the competition at an approved gym or doctor's office. In addition, there's weekly accountability, casual weigh-ins, forums, and conference calls with former Biggest Loser participants and health professionals. The current competition starts May 15th and runs for 3 months. Aside from this team-based competition, anyone can also attempt to achieve a healthy BMI in order to receive $100 from HealthyWage.com's sponsors. In this case your physician has to actually phone HealthyWage at the beginning and end of your personal challenge. For those who want to take it even further, you can pay $300 before you start. If you chose to fork over the money up front and are still able to hit your goal, you'll receive $1000 back. If you fall short, though, you are out the $300! For me, there are a couple of incentives beyond just the cash. I'm highly motivated by the accountability in a team-based competition. I won't want to let my teammates down, especially if at least a couple are motivated themselves. This allows each member to stumble a little, without completely falling off the wagon. Also, I'm a firm believer in changing your environment when attempting any lifestyle change. The added benefit of conference calls, forums, and the ability to track the progress of other teams lends itself to creating a powerful community interaction. Immersing yourself inside a community like this is a great way to maintain motivation (just like many active members of this community have done). While I'm already signed up and eagerly awaiting the start of the competition, I do have a few reservations about the pay-for-weight-loss model. While HealthyWage makes an active effort to promote safe weight loss, the “competition” atmosphere may potentially encourage some to go to extremes. Personally, I'm going to have to be careful about this. I'll have to work extra hard to prevent burnout and/or risky weight loss results, especially early on. From what I've been able to tell, the website and competition provide plenty of resources for help with this. I also wonder if there will be some amazing results that will turn out to be temporary lifestyle changes. Even if the rate of weight loss is healthy, what will happen to people when the monetary compensation and the competitive atmosphere are gone? I wonder what the success rate will be of those who are able to make lasting, long-term changes. Even with these two reservations, I'm still excited take part in the competition. I'm going to do my best to play into the strengths, while being aware of the potential pitfalls. For me, if even a small portion of people are positively affected (long-term, positive health changes) then it's worth it. I have no affiliation with HealthyWage.com in any way; I'm just a new and eager competition participant. However, I'm interested if any of you have had experience with a similar competition or what your thoughts of the model are! Who knows? Maybe I'll be giving an update in three months on how my team (Jesse from Personal Finance Firewall, Brad from Enemy of Debt, and Paul from Fiscal Geek) will be spending our portions of the $10,000 (or more importantly how much better we feel being much more fit)! J.D. 's note: I, too, have struggled with weight. And, like Adam, it's actually been tougher for me to tackle than personal finance. I started Get Fit Slowly with my friend Mac, but haven't written there much in the past year. However, I seem to finally be slowly turning the corner. I'm down 13 pounds this year, thanks to sensible food choices and discovering Crossfit.